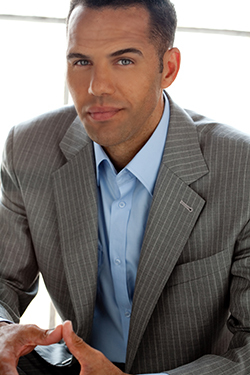 NASFAA is thrilled to welcome best-selling author Steve Pemberton as the opening session speaker Monday, June 24 at the 2019 NASFAA National Conference in Orlando. 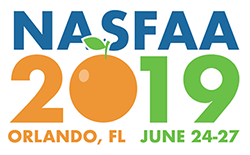 Pemberton will share with NASFAA conferees the inspirational story of how he overcame seemingly insurmountable beginnings and went on to become a successful corporate executive, innovative diversity and inclusion thought leader, and acclaimed speaker. In 2012, Pemberton's best-selling memoir, "A Chance in the World" went to print. In it he explains that as a child orphaned into foster care, and taken in by an exceedingly cruel foster family, adversity only fueled his desire to become a man of resilience, determination and vision. The book, which was been hailed as "A heart-rending but uplifting story of the human spirit's ability to prevail," hit the big screen in 2018 as a major motion picture and led to the development of a foundation by the same name that provides scholarships and support to aspiring youth in an effort to help them reach their goals. A tireless advocate for equality, access, and opportunity, Pemberton currently serves as chief human resources officer for Globoforce, a leading provider of social recognition and continuous performance development solutions. Prior to that, he served as the first-ever global chief diversity officer for Walgreens Boots Alliance, the first global, pharmacy-led health and wellbeing enterprise in the world. Under his leadership, Walgreens reached record levels of performance on nearly every measure of diversity and inclusion, ranging from representation to supplier diversity spend. An extended part of his responsibility was to further the companies' pioneering efforts to employ people with disabilities. In that capacity, he frequently represented Walgreens' employment model at the White House and on Capitol Hill. In 2015, he was appointed by United States Secretary of Labor Thomas Perez to serve on the Advisory Committee for the Competitive Integrated Employment of People with Disabilities. Pemberton's keynotes, like his life story, amplify his highly motivational messages: Believe in your dreams, rise above obstacles, create opportunities for others, and most of all, persevere. Mark your calendar for 4:00 pm on Monday, June 24 to make sure you don't miss what is sure to be an inspirational kick-off to this year's national conference. Barbara Blacklock holds a Master's degree in Rehabilitation Counseling and is licensed by the State of Minnesota, as an Independent Social Worker (LISW). She has worked in Disability Resources at the University of Minnesota for over 25 years and has presented locally, nationally and internationally on disability issues. Early in her career she was the Disability Resource Center Liaison to the Office of Student Finance. Barbara is currently the Disability Resource Liaison to the University of Minnesota Academic Health Center Programs and coordinates services to students in those programs. For the past 12 years she has been the co-chair of the University of Minnesota Provost's Committee on Student Mental Health and coordinated the development of the website mentalhealth.umn.edu. 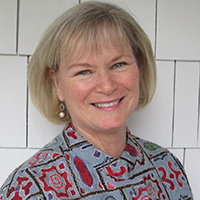 Along with her role as a direct service provider, Barbara was the Project Director of the Marcus Foundation Faculty Education Grant: Taking it to the Next Level: Advancing Awareness and Equity of Medical Students with Invisible Disabilities. She also was the Project Director of a Fund for the Improvement of Postsecondary Education (FIPSE) grant designed to identify the barriers and opportunities for college students with mental health disabilities, through the University of Minnesota. Barbara is the chair of the Association on Higher Education and Disability (AHEAD) Special Interest Group (SIG) on Students with Mental Health Disabilities and was awarded the AHEAD 2001 Professional Recognition Award. In 2014 she was awarded the University of Minnesota President's Award for Outstanding Service.